Summer grilling… it has to be one of the best parts of summer. The season wouldn’t be complete without it. Kids are running in the yard while the dog chases them as the bright, warm sun beats down happiness on everything. The only thing missing is a steak sizzling on the grill. The one thing that could make a delicious, tender steak any better is coating it in an amazing marinade. Well, look no further. After you try this easy and mouth-watering recipe- you won’t be able to eat plain steak again! 😉 It is the perfect addition to summer grilling. 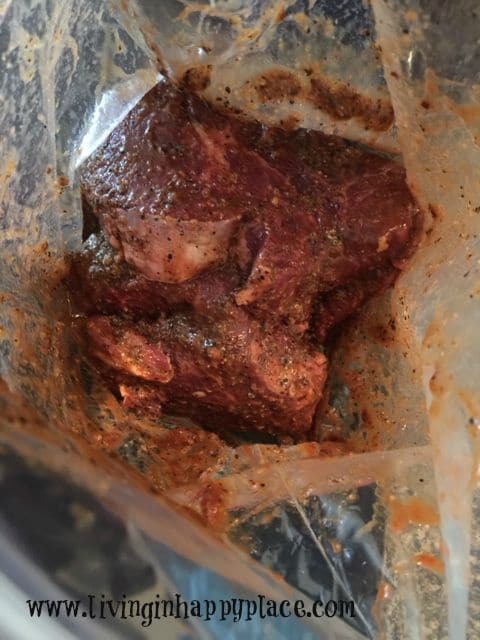 Place meat in a ziplock bag. 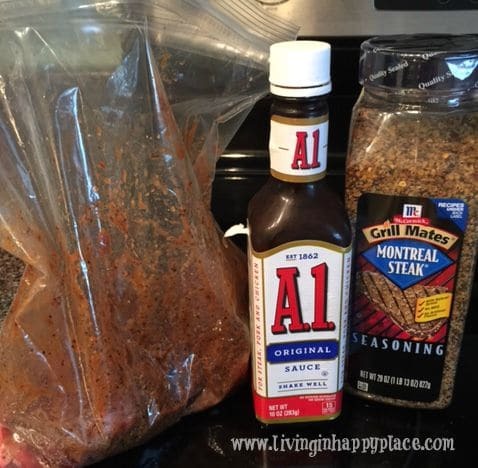 Add A1 and seasoning on top of the meat, seal the bag, and shake it up. Put in the refrigerator to marinate for about 4 hours. I’ve put this together as soon as thirty minutes before the steaks were cooked and it was just as delicious. Adjust ingredient amounts to taste (and/or for the amount of meat you are using). Easy and delicious, right? 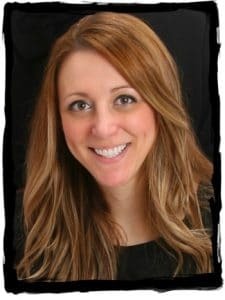 I bet you won’t be able to eat plain steak again! Do you have something special you add to your steaks for amazing flavor? Leave a comment and share!